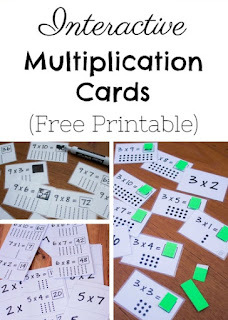 Some of you might like these multiplication flash cards (free printable) with DOT arrays. I like the idea! They could be used to teach beginning multiplication with the answers intact, and later on, cover the answers for memorization/learning practice, but either way, the dots remind the student of the CONCEPT of multiplication. Blue series books - in what order? Many people use Math Mammoth BLUE Series to help their children catch up if they are seriously behind. Some others use the Blue series as their main math curriculum. Here are some nice puzzles for middle school students.